It’s that time again. Xmas, Kerst, Christmas !!! But it’s also ‘that time again’. Time for Ukulele, time for the 3nd Big Ukulele Christmas Sing-a-Long with the Groningen Ukulele Society and our special ukulele friends the Harderwijkse Ukulele Club. 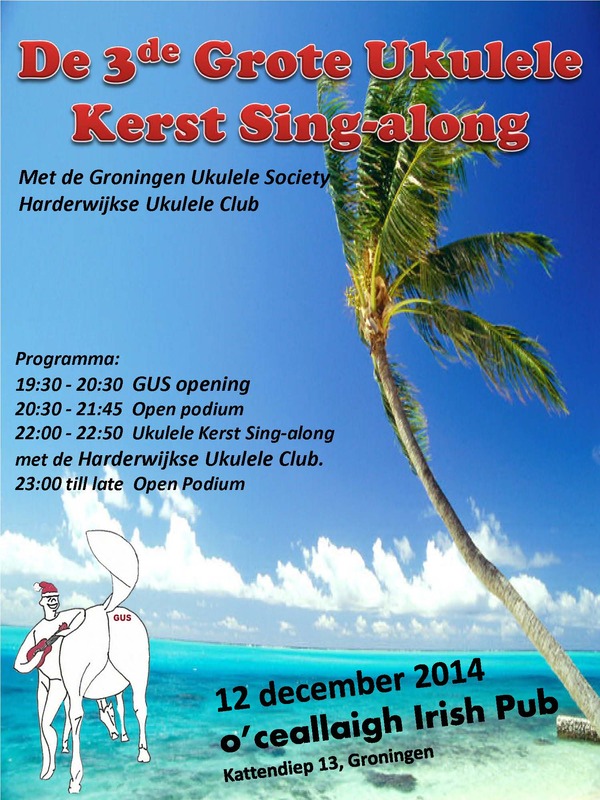 22:00 – 22:50 Ukulele Christmas Singalong with the Harderwijkse Ukulele Club. 23:00 till late Open Podium free for all. 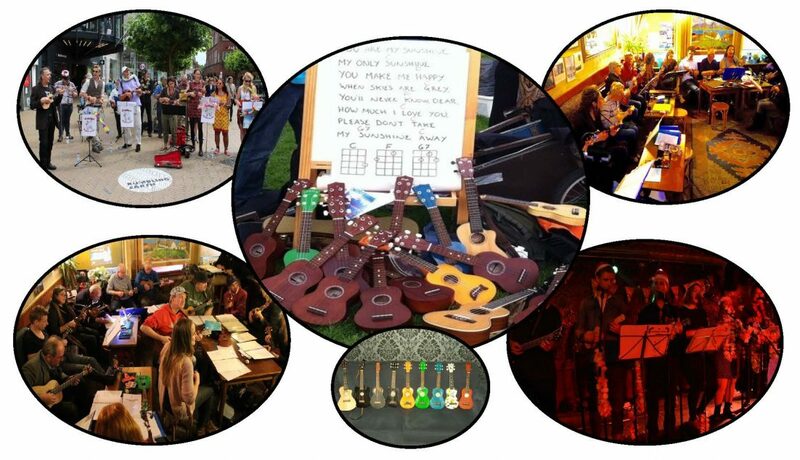 In the tradition of Ukulele, it’s free and everybody can join in with the fun, sing along with our tunes or grab one of the ukes available to use on the night and have a go..
Be there or be a triangle player.